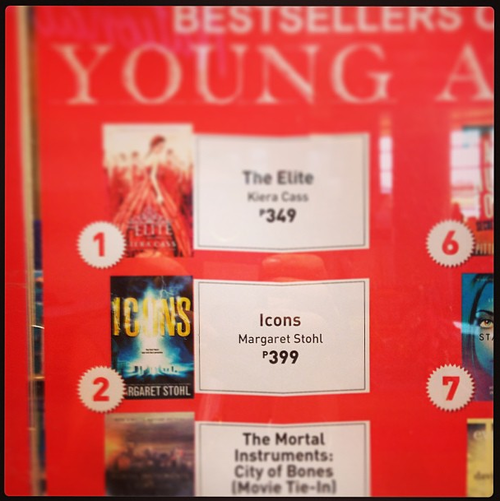 I wouldn’t have known about this except I saw Margaret Stohl’s tumblr post about ICONS (congrats!) 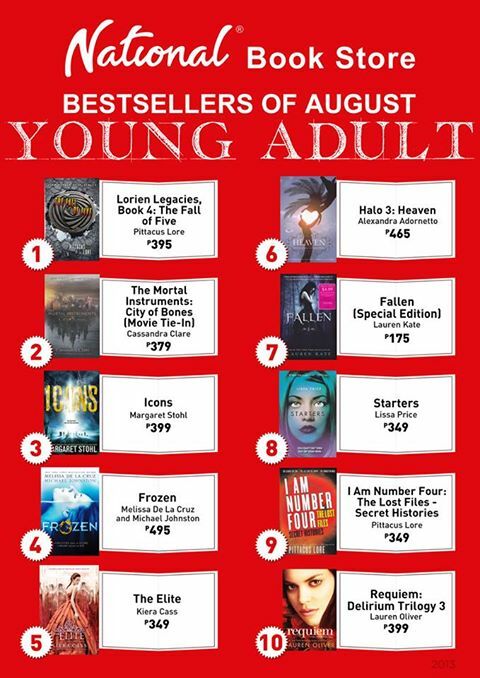 on the Philippine YA bestseller list in the picture below. And there was Starters peeking out at #7. Guessing that is August below, Sept is above. Thank you, Philippines! Previous Post: Signing with Kami Garcia at her Launch Party in San Diego for UNBREAKABLE! Next Post: YA Scavenger Hunt, Fall 2013 – Win! Enjoyed Starters and I can’t wait for Enders 😀 Congrats!